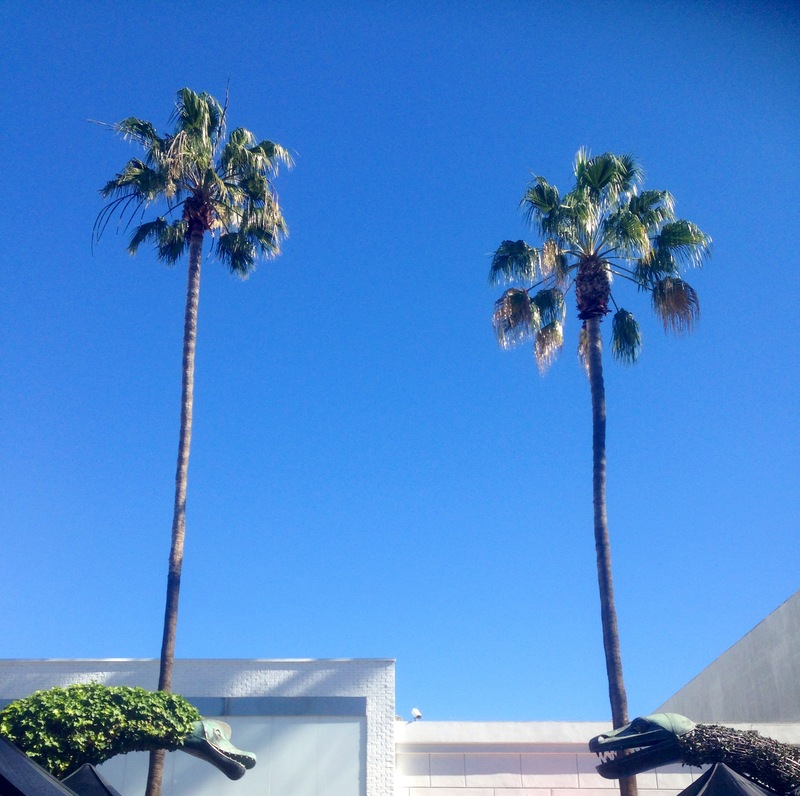 Twin palms and dinosaurs in 4th Street Santa Monica, California. We sat in a diner having breakfast whilst in front of us a film crew toiled with sound and light and action. It felt like a movie set. It was a movie set. The dinosaurs, however, were unrelated, presumably representing some earlier cinematography. For the Daily Post photo challenge Symmetry.